Bad Science Debunked | Debunking dangerous junk science found on the Internet. Non-scientist friendly! 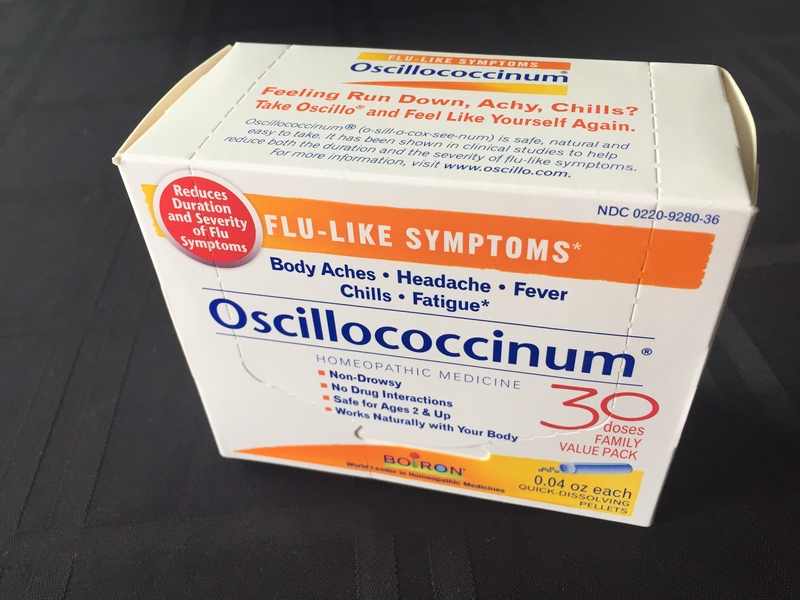 Oscillococcinum literally contains nothing but sugar, and cannot under any circumstances cure the flu, reduce body aches, headaches, fever, or chills. After a long and grueling search, a use has finally been found for the CVS homeopathic product known as Oscillococcinum. No, it doesn’t fight flu. It can’t–there are no active ingredients. But it can be used as a stand-in for sugar in icing for Valentine’s Day cookies! In this Bad Science Debunked Valentine’s Special, I’ll walk you through the steps but, more importantly, we’ll do a little Kitchen Science, using the dye from our cookie icing to illustrate the scientific illiteracy behind homeopathy and why you, if you’re a CVS shopper, should be deeply upset that a modern pharmacy has this product on their shelves. 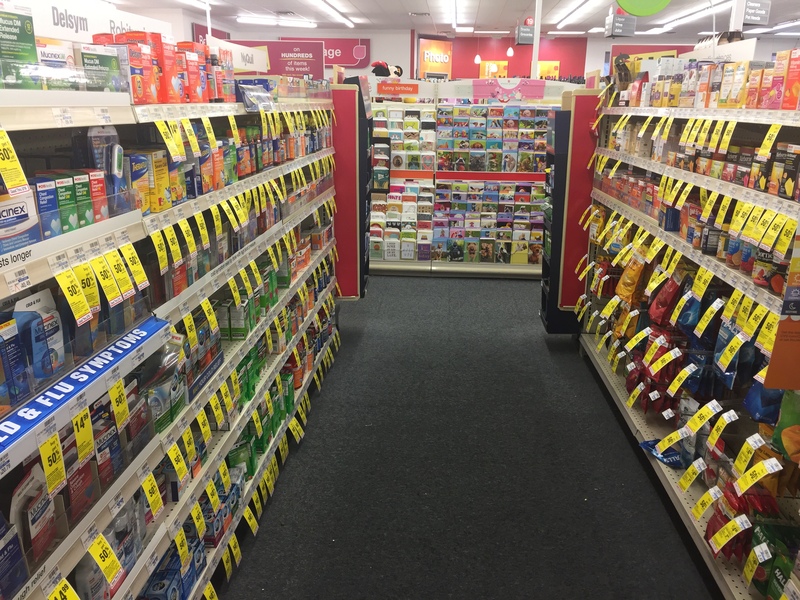 As described in my article “If it Quacks Like a Duck: Oscillococcinum“,1 and confirmed by scientists around the world, there is literally–literally–nothing in CVS’ so-called medicine except sugar, rendering it absolutely useless for treating the flu. This is the case for nearly all homeopathic medicines. There are a few exceptions. 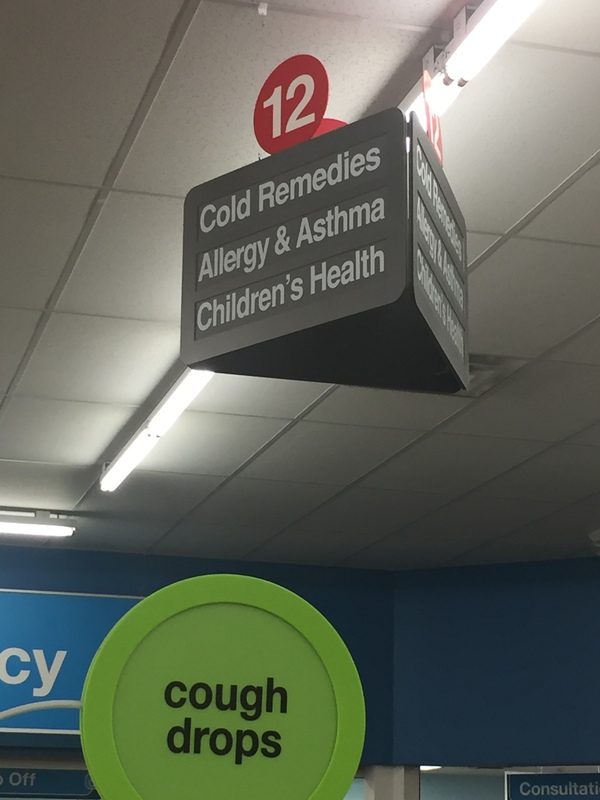 For example some homeopathic concoctions contain enough alcohol for underage drinkers to get three sheets to the wind,2 while others incorporate toxic plants that can poison babies.3 In 2018, the Center for Inquiry sued CVS for fraud over its homeopathic “cures,”4 but a resolution has yet to be found, and CVS continues to mislead consumers, selling them $36.00 sugar pills potent enough to make dessert icing. However, the potential for a mistake is all too real. 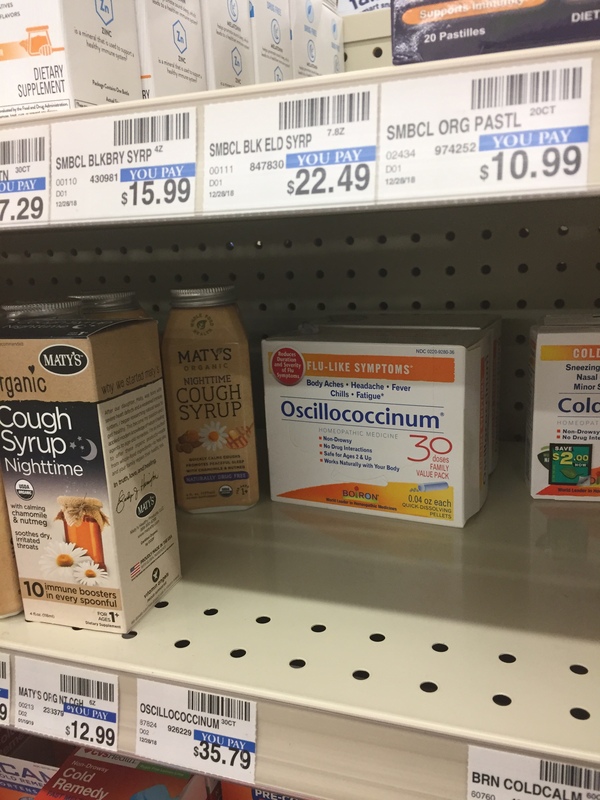 Walk into any CVS store and you’ll find Oscillococcinum displayed in the aisles as if it were a real medicine–as evidenced by the below photos from a shop in Lexington, KY. Should the parent of a flu-infected child purchase this rubbish, thinking they were getting real medicine, we could have a youngster being treated with sugar–a potential tragedy in the making. Over 30,000 people were hospitalized due to influenza during last year’s flu season.5 The flu can kill. It cannot be treated or cured with sugar. So let’s make some cookies! Oddly enough, critics of the plain sugar cookies I bought for this project claimed the they were “GMO,” apparently because they didn’t have the silly little non-GMO butterfly. One of the dangers of GMO labelling is nobody understands what it means. There isn’t any GMO sugar, there isn’t any GMO flour, but just to poke good-natured fun at those who won’t take the time to learn any better, I’ve dubbed my cookies “GMO sugar cookies for duration of this experiment. If facts aren’t going to change minds, you might as well have some fun. Anyway, here’s the video. For the not-so-video-inclined, printed recipe and instructions appear at the end of this post. 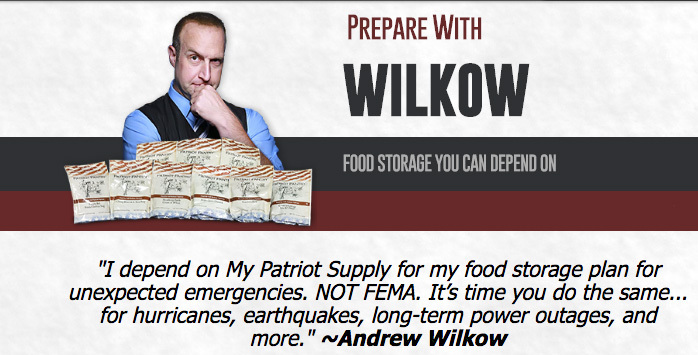 Feel free to print the web page, clip, and save. Oh, and while you’re at it, you might want to protest to CVS (cough cough). Next, let’s look at how we know that CVS Oscillococcinum has no active ingredient. The homeopathic claim is that they begin with a piece of (supposedly diseased) duck, then dilute, dilute, dilute, with water (hold on, this is where it gets strange), where the water “remembers” the disease, and my Aunt Fanny has a bridge in San Francisco to sell you. In this Kitchen Chemistry experiment, we’ll do what homeopaths would call a “5C” dilution on the food dye we used on our cookie icing. 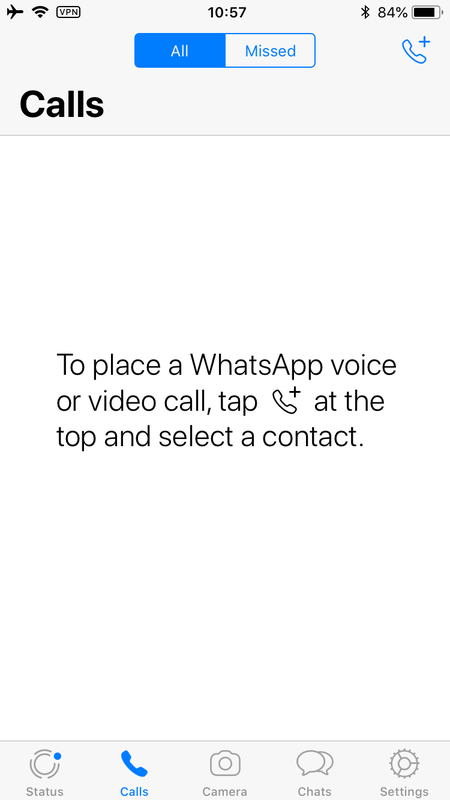 The principle is simple, but will leave you rolling your eyes in wonder when you see it in action. 1ml of dye is added to 99ml water and “succinated” (shaken). 1ml of the resulting solution is extracted and added to another 99ml water. Each repetition gives us a “C” (centesimal) preparation. Homeopathic preparations such as oscillococcinum start around 200C, at which it’s mathematically impossible for even an atom any original material, which was supposedly a diseased duck, to remain. Some preparations go even higher. For our demo here, I’m preparing just a 5C solution of dye. Pull up a chair, phone the kids and wake the neighbors, and watch what happens. Does the dye get stronger or weaker? Food for thought: Because homeopaths falsely believe that water has a memory and that repeatedly diluting a substance makes the water memory stronger, consider what happened to the H2O downstream of the cookies and aspartame in this experiment when I went to the bathroom after the second video. The toilet water went to a water treatment plant where my waste was repeatedly diluted. Consider further, dear homeopaths, that the water on this planet has been constantly recycled for over 4.5 billion years. Imagine all the waste it has diluted. You really gonna drink that stuff? For those of you rich enough to spend approximately $36.00USD for enough icing to cover three or four sugar cookies, here’s the full recipe. This is just the cost of the oscillococcinum alone! The Oscillococcinum used in this “experiment.” Click to enlarge. Warning: Oscillococcinum cannot cure the flu, mitigate its symptoms, or help with any other disease. Its only use is as described here: as a stand-in for sugar. If you’re upset about this, please contact CVS to complain: 1-800-SHOP-CVS (1-800-746-7287). 1. Heat milk and flour over low heat, until very thick. Let cool and set aside. **Totally safe to use. There are no medicines in CVS Oscillococcinum. It is pure sugar. CVS Oscillococcinum product image by the author. 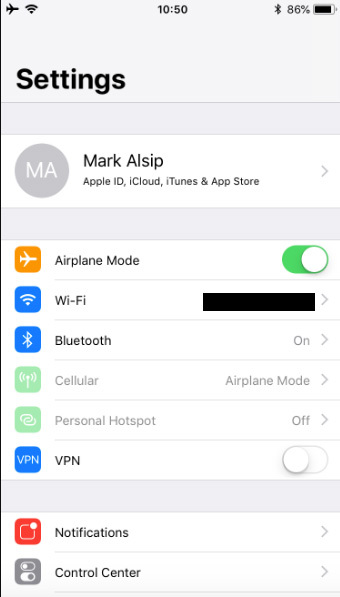 Copyright © 2018 Mark Aaron Alsip. All rights reserved. Duck image by the author. Copyright © 2014 Mark Aaron Alsip. All rights reserved. The “Dancing With the Stars/Oscillococcinum” mashup image is a product of the author’s imagination. The Dancing With the Stars Judges are used used under the parody provisions of Title 17 U.S.C. Section 107, commonly known as “fair use law”. This material is distributed without profit with the intent to provide commentary, review, education, parody, and increase public health knowledge. The excerpts of the Beatles’ “Twist and Shout” and Marvin Gaye’s “Let’s Get it on” are also used under the parody provisions of Title 17 U.S.C. Section 107, commonly known as “fair use law”. This material is distributed without profit with the intent to provide commentary, review, education, parody, and increase public health knowledge. Amazon’s Alexa appears used under the parody provisions of Title 17 U.S.C. Section 107, commonly known as “fair use law”. This material is distributed without profit with the intent to provide commentary, review, education, parody, and increase public health knowledge. Sitting at a stoplight yesterday, I noticed a fly on my windshield. It stubbornly held on while I accelerated to 10MPH. It was still there at 20, 30, then 40MPH. At 45MPH I admit a cruel streak brought on thoughts of flipping on the windshield washer, but the scientist in me fought off the urge, and so, curious, I accelerated hard and, finally, at 55MPH, the creature succumbed to the inevitable. Chiropractor Josh Axe is a lot like that insect Give him a bad idea and he’ll cling to it like a fly to a windshield in a tempest. 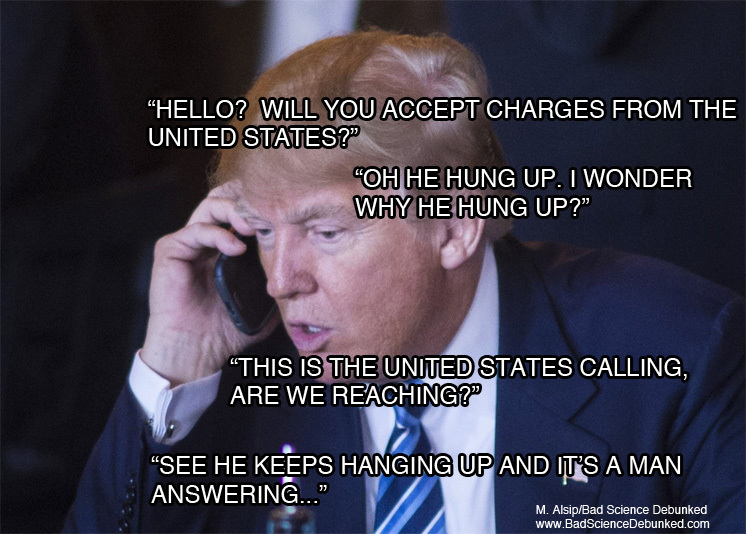 Hang on at all costs. Never, ever, let go, despite the obvious outcome. No matter how much the right thing to do would be to let go (of your incorrect opinion). 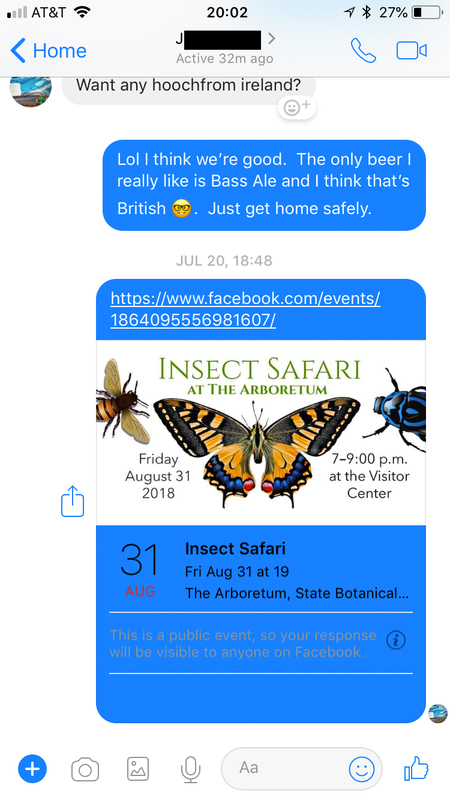 Back in December, 2015, I wrote that Axe was pushing Bentonite clay as a detox agent, even though the product was loaded with the same “toxic” heavy metals Josh claimed would kill you.1 Undeterred, on November 19, 2018, Axe used Facebook to recycle another Bentonite detox post. Like a fly on a windshield, Josh clings to irony in a hurricane of hilarious gaffes.2 Let’s have some fun. Note the lead, cadmium, and mercury. Go ahead Axe fans. Make something up, I’ll wait. Then I’ll shoot you down in Axe’s own words. Time is on my side. 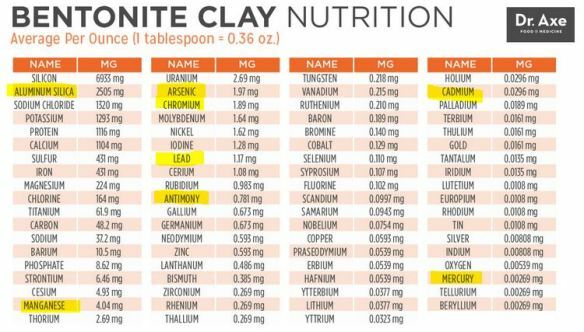 So Bentonite clay expels toxins, except that it retains them when you’re pregnant (why only then? ), so pregnant women shouldn’t use it, except that pregnant women should use it for nausea relief. And what about the mercury and lead? Oh God, just shoot me now. Josh Axe calls himself a doctor and he cranks out medical advice like this? Dear reader, I humbly submit to you that (1) if you wish to eat mud it’s going to taste, well, muddy, but the trace amounts of metals found therein are not going to be of any health concern and, more importantly, (2) you can find far, far better sources of health information than chiropractors who falsely call themselves doctors and make their living selling you bone broth and mud for a living. Josh Axe, Redmond Clay, website screen snapshots are used in strict compliance with Title 17 U.S.C. Section 107 of United States copyright law (commonly known as “fair use law”). This material is distributed without profit with the intent to provide commentary, review, education, parody, and increase public health knowledge. Forrest Gump meme used under parody provisions of Title 17 U.S.C. Section 107 of United States copyright law (commonly known as “fair use law”). This material is distributed without profit with the intent to provide commentary, review, education, parody, and increase public health knowledge. Link to Rolling Stones/YouTube clip is done using tools provided by YouTube/Google, Inc. Author does this in good faith, believing tools to link and embed are provided for this this purpose, and that videos available on YouTube are displayed legally, with the consent of the copyright owner. Author assumes, and makes no copyright claims to the linked/embedded video. 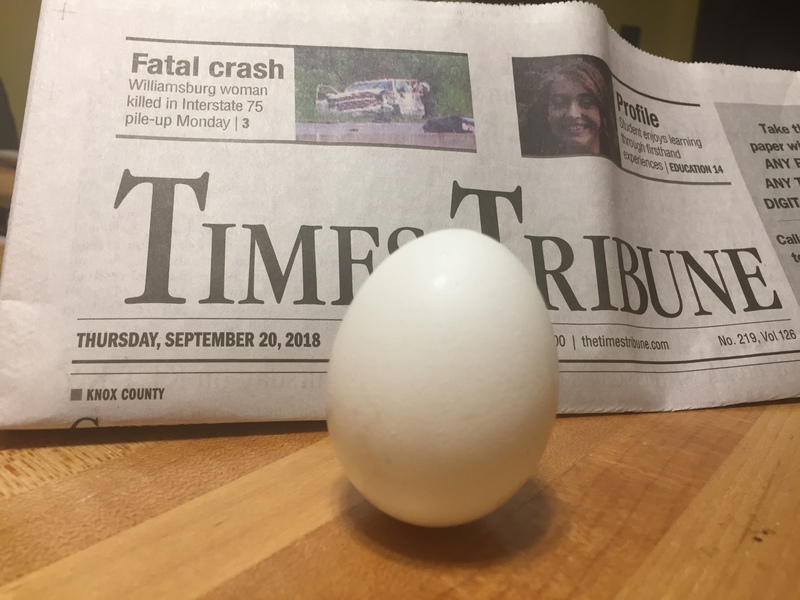 The most obvious way to debunk this is to just balance an egg on any other day of the year. Seeking to do it in the most snarky way possible though, I thought to wait until the other first day of spring–September 22. This is the first day of spring in the Southern Hemisphere in 2018. 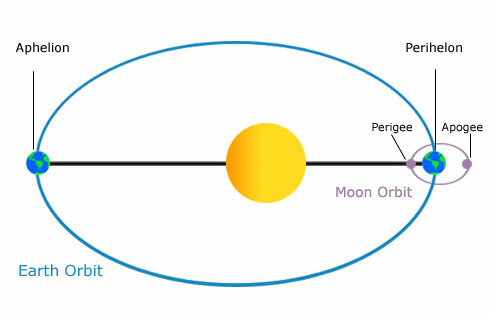 And here we are again, two days before the equinox. Hey! I thought this was only possible on one (or was it two) special days of the year? 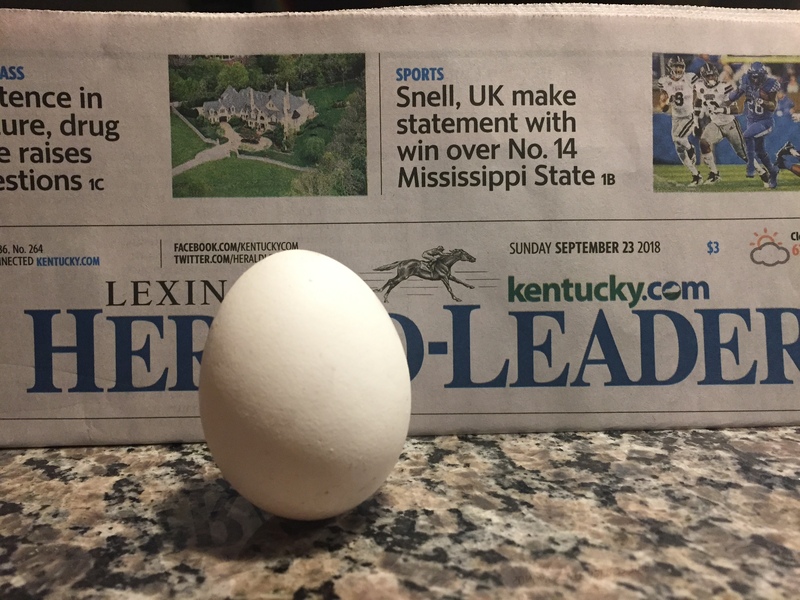 And here we go, the first day of spring (south of the equator), and yeah, an egg can be balanced on end… just like any other day of the year. Now, a true skeptic would point out that I could have saved up a stack of newspapers and snapped all these photos on September 22. 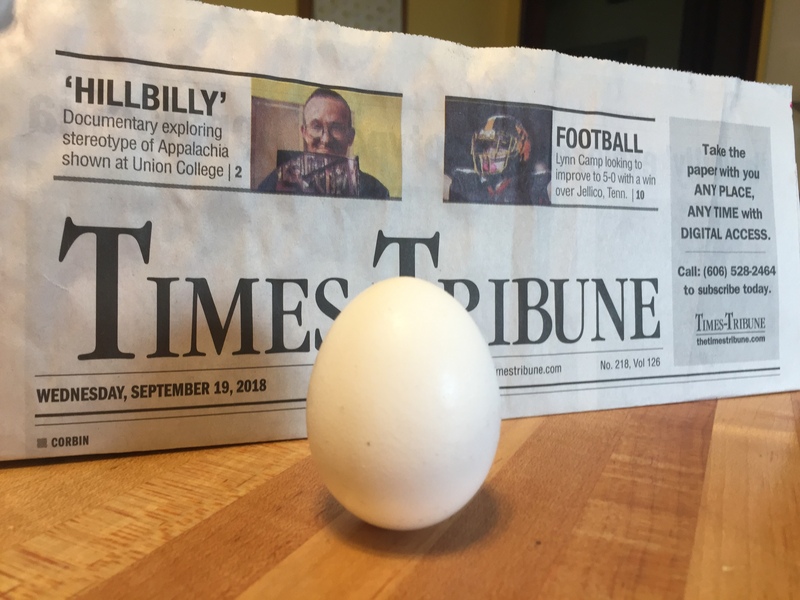 So, I’ll make a promise: tomorrow, September 23, I’ll update this article with yet another balanced egg. 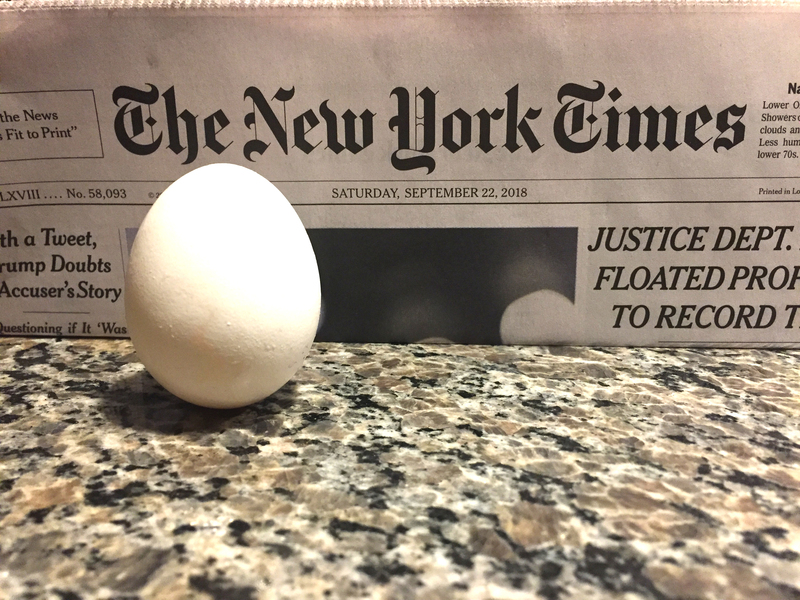 As promised, here’s yet another balanced egg with backing newspaper, to prove I didn’t stockpile newsprint and shoot all of the previous shots on the autumnal equinox. Josh Axe brings heavy metal to the stage in an unexpected way with his homemade toothpaste recipe. Unfortunately, he himself calls the mix toxic. 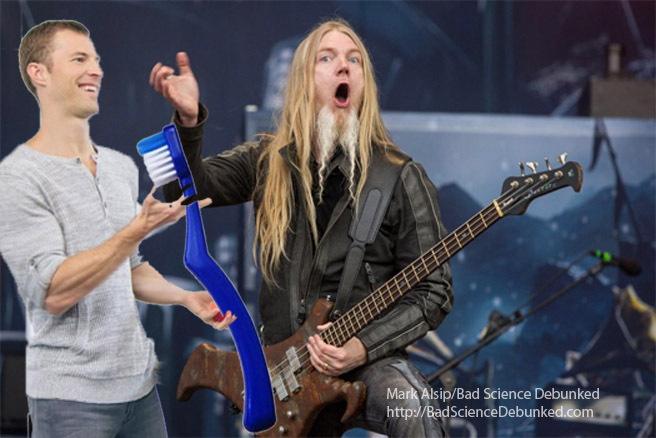 Josh Axe, a chiropractor who fancies himself a doctor and makes a living selling unproven natural remedies for all that ails you, has a particular distaste for heavy metal. No, not the likes of Metalilica, Iron Maiden, or Black Sabbath. We’re talking heavy metal in the context of lead, mercury, and, of particular importance to today’s column, aluminum. Kaolin, courtesy PubChem. Note the aluminum. When you brush your teeth with Josh Axe’s homemade remedy, this is what you put in your mouth. When will the public catch on and stop buying from this man? I don’t know the answer. But you, dear reader, can help. Spread these stories. Check Axe’s product labels against his own words. I’ve provided the necessary links in the reference section below. Somewhere out there, I imagine a truly ill man or woman considering throwing out their meds and following one of Axe’s nonsensical, hypocritical wellness plans. They’ll be buying the same chemicals he claims will harm them. Let’s not let that happen. Warning: Not a scholarly article. Contains false and/or misleading information. Intro image is a parody mashup using a base image of unknown copyright status; I believe ©2018 Wallup. Used here along with a cutout of Josh Axe under the parody provisions of Title 17 U.S.C. Section 107 of United States copyright law (commonly known as “fair use law”). This material is distributed without profit with the intent to provide commentary, review, education, parody, and increase public health knowledge. “I’m a little black rain cloud, of course”– W. Pooh, Esq. In the cartoon, Pooh, covered in mud and hanging from a helium balloon, floats happily into the upper branches of a tree, where a honey-laden bee’s nest awaits. Disguised as a little black rain cloud, Pooh naively sings a happy tune, certain that no one will be the wiser as he prepares to make off with a tasty treasure. Of course, when Pooh arrives at the nest, the bees see through the plan, and disaster follows. Pooh’s naiveté is shared by Thrive Market and their Lifestyle & Beauty editor, Dana Poblete, who, in “The 9 Worst Chemicals Hiding In Your Makeup”1 writes that the compound carbon black is a possible carcinogen that “may increase risk of lung disease and cardiovascular disease.” Like poor Pooh, Poblete’s article disguises a little secret that she and Thrive would rather the bees customers don’t catch onto until Thrive has made away with the honey customers’ hard earned cash. As an added bonus (?) customers at organic markets such as Thrive pay higher prices for organic products that are have no demonstrable health benefits compared to their conventional counterparts. Two for the price of three! Thrive market is loaded with products that contain the very same ingredients that their lifestyle articles claim can kill you. 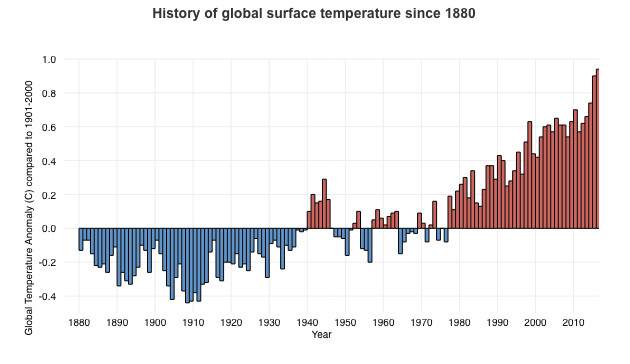 Type their name into the search box at BadScienceDebunked.com and do a little light reading. So please: if you’re into the hippy lifestyle, buy a bar of One With Nature Dead Sea Soap in complete confidence. It’s totally safe. Shower outside in fresh rainwater, aux naturale, with one or more friends and a unicorn. Carbon black isn’t going to hurt you (though the unicorn might, if the horn gets misplaced during the shower). Just don’t buy from Thrive Market. 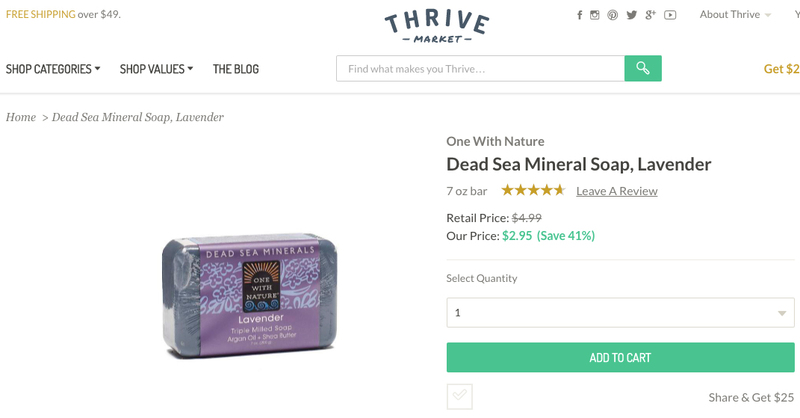 Thrive Market screen snapshots, One With Nature product images are used in strict accordance with Title 17 U.S.C. Section 107, commonly known as “fair use law”. This material is distributed without profit with the intent to provide commentary, review, education, parody, and increase public health knowledge. Winnie the Pooh cartoon © Walt Disney Corporation. Author assumes/makes no copyright claims by linking to YouTube video. Linked under fair use/parody provisions of Title 17 U.S.C. Section 107, commonly known as “fair use law”. This material is distributed without profit with the intent to provide commentary, review, education, parody, and increase public health knowledge. 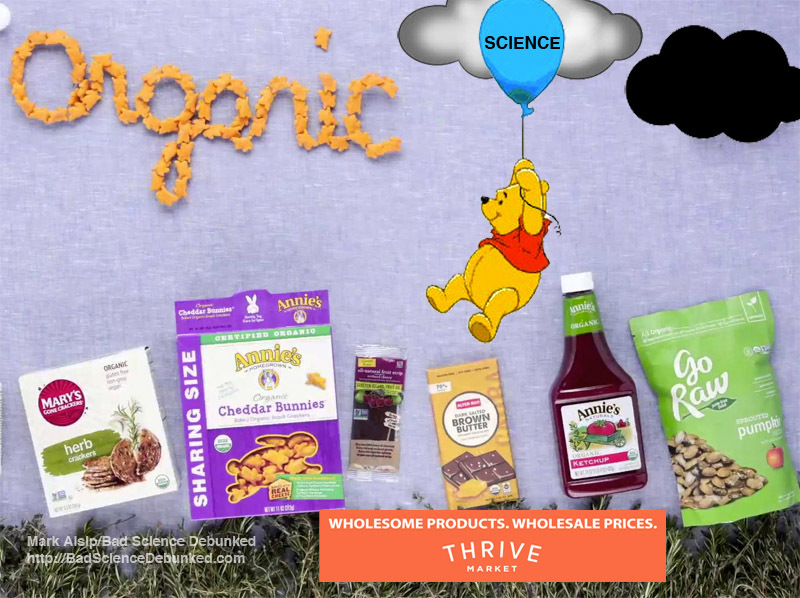 Winnie the Pooh/Thrive Market mashup intro graphic by the author. Produced and used under the parody provisions of Title 17 U.S.C. Section 107, commonly known as “fair use law”. This material is distributed without profit with the intent to provide commentary, review, education, parody, and increase public health knowledge.